Farmed salmon vs. wild salmon. Which is healthier? Well, you may be surprised to find out that farmed salmon has toxic contents and can be dangerous. Learn what to avoid when you get salmon at the store. It seems that not a day goes by when I do not read an article about the importance of getting Omega-3 fatty acids into our diet. 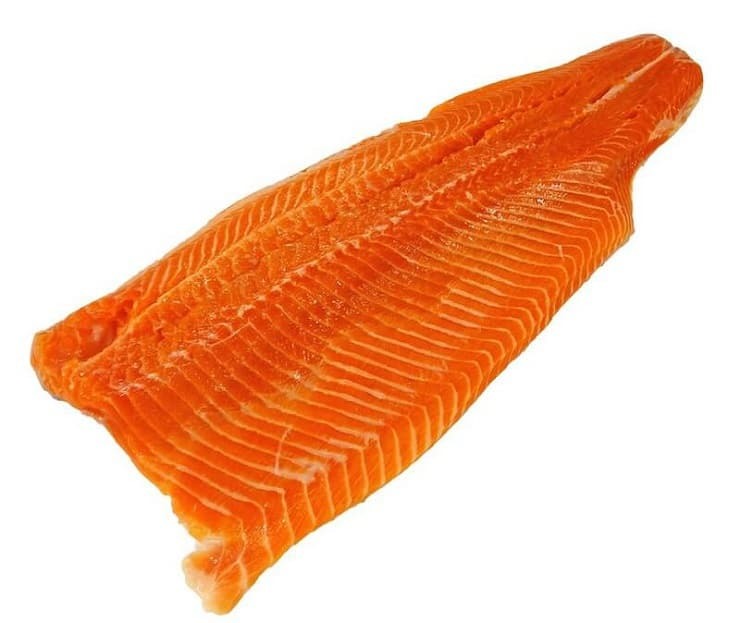 The best place to find these naturally, of course, is in fatty fish like salmon. Is farmed salmon bad for you? Well, there are a lot of problems with farmed salmon and all of them are pretty bad. First, let me explain the difference between wild and farmed salmon, and then let me tell you the top reasons why you should avoid buying or eating farmed salmon. Wild salmon is caught fresh from oceans and rivers, in their natural habitats. They feed on natural food in their environments, algae, smaller fish, plankton and other natural foods. Farmed salmon, however, is raised in submerged pens and often given feed that contain small ground fish, fish waste by product and GMO corn and soy that helps it grow larger faster and yield more fish. When you take a close look at the scary facts associated with farmed salmon, I think you’ll want to make the extra effort to find wild caught salmon. First, let’s compare the nutrient density and fat profile in farmed salmon versus wild caught salmon, because there are huge differences between them. Farmed salmon may be richer in some fatty acids and vitamin C, but the Vitamin C is added to the fish feed and not naturally contained in the salmon. We know that synthetic vitamins added to food is very hard for the body to recognize and absorb. So you may actually just end up excreting the added vitamins through your urine. When it comes to minerals, however, wild salmon is rich in them, boasting healthy stores of potassium, magnesium, and iron. But the fat profile is where we get the big difference. When it comes to essential fatty acids (EFAs), the right balance between omega-3 and omega-6 fatty acids is vital to good health. We Americans are over-consuming omega-6 fats from corn, soy and factory farmed meat from animals who consume corn and soy. Consuming high levels of omega-6s and low levels of omega-3s can lead to inflammation which leads to disease (read more about this here). Farmed salmon has 3 times higher inflammatory omega-6 fatty acid content, which is probably due to the corn and soy fed to farmed fish. However, the nutritional profile is not the worst thing about farmed salmon. 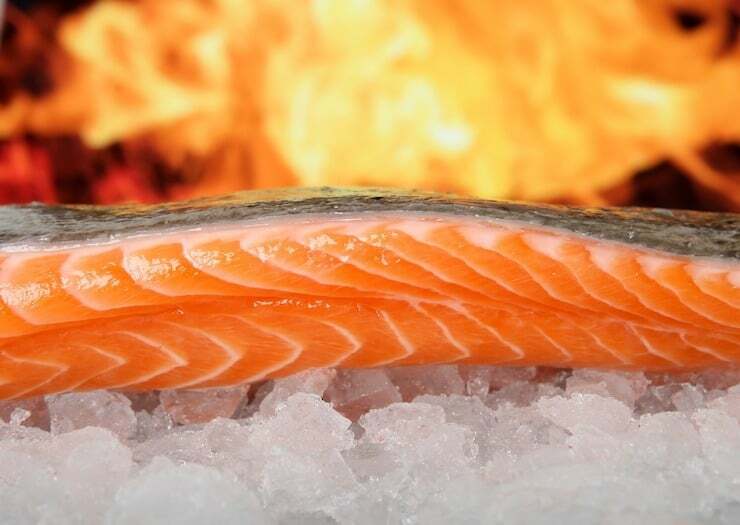 Even though the fat profile is better in wild salmon, there’s not an enormous difference between the two nutritionally, since farmed salmon still has high omega-3 content. However, the rest of the reasons listed below may make you swear off of farmed salmon for life. Wild salmon is pink because of its diet, which is rich in krill, shrimp, and crustaceans. This natural diet provides high amounts of carotenoids like astaxanthin and canthaxanthin along with a blend of other beneficial antioxidants. These antioxidants are what give salmon its pink color, but they also contribute to it’s health benefits. Farm raised salmon on the other hand is given feed like corn and soy (which is far from what a fish would naturally eat…and is akin to someone eating junk food cereal all day every day). Because salmon isn’t given natural food that provides these beneficial antioxidants, it tends to be grey instead of pink. You may have heard that salmon is injected with pink dye. Well, that is simply not true, at least not in the US. However, the alternative is not much better. 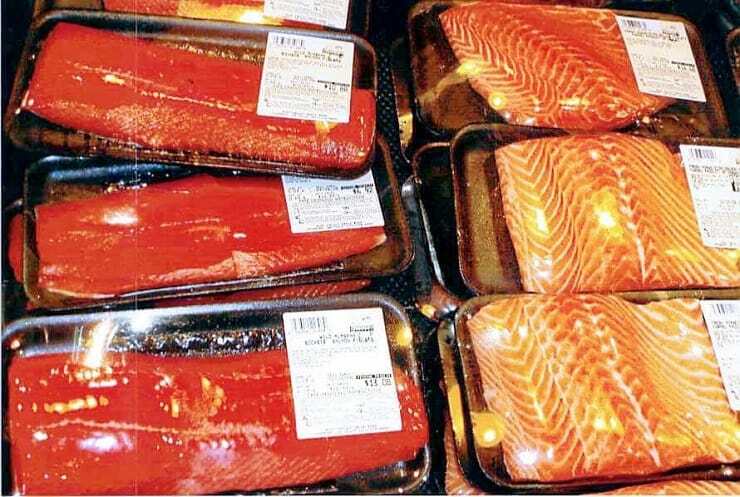 A gray salmon would clearly look unnatural and unappealing to consumers, so they started adding synthetic astaxanthin to the fish feed which is made from petrochemicals. This synthetic astaxanthin is not fit for human consumption, yet it’s fine to eat the fish that ate it. I don’t know about you, but I don’t want to eat something that ate a lot of petrochemicals. 3. Farmed salmon is full of harmful toxic contaminants. 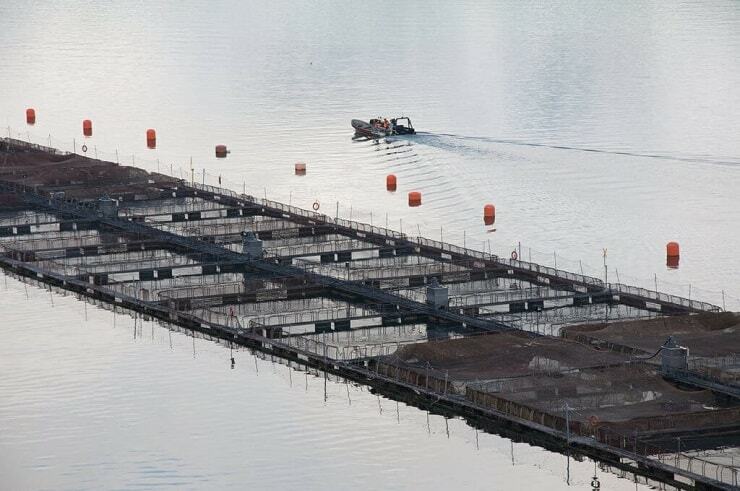 Although yes, our waters are becoming more contaminated and all wild fish absorb at least some contaminants from the waters they swim in, farmed salmon live in less sanitary fisheries in very concentrated pens that are loaded with contaminants of all kinds. A 2004 study, found that the contaminants in farmed raised salmon are significantly higher in PBDE’s which are toxins that bioaccumulate in the body and can cause a myriad of health issues. PBDEs have been associated with hormonal and thyroid disruption, brain damage and cancer. The contaminants and pesticides used to farm salmon are very detrimental to the environment. The kinds of contaminants and pollutants at fish farms such as chemicals and pesticides of all kinds, not to mention the strong concentrated antibiotics fish farmers use in effort not to spread disease from fish population to fish population, are damaging local areas where fish farms are located. Fish lice is a big problem with salmon farms, for example, and many of the drugs used to kill this sea louse can penetrate the air, move to other waters, and contaminate the environment for miles. Where Can You Get Wild Caught Salmon? 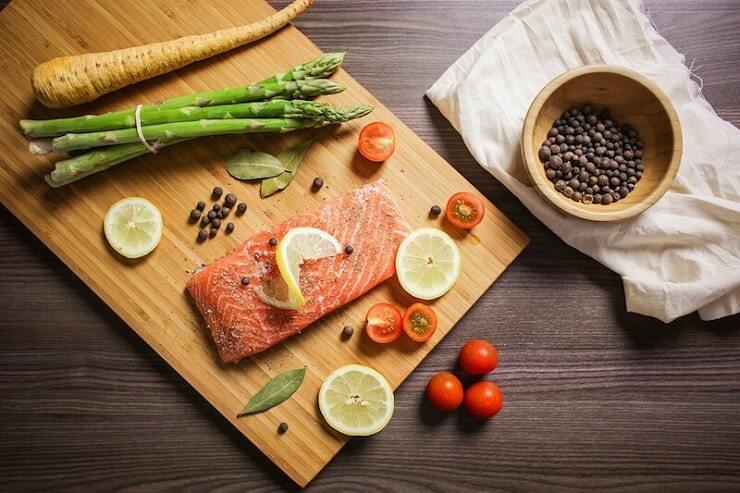 Now that you’ve learned about all of the reasons to avoid farmed salmon, you might want to know where you can get healthier wild salmon. When buying salmon, you’ll want to make sure that it says “wild” on the package. 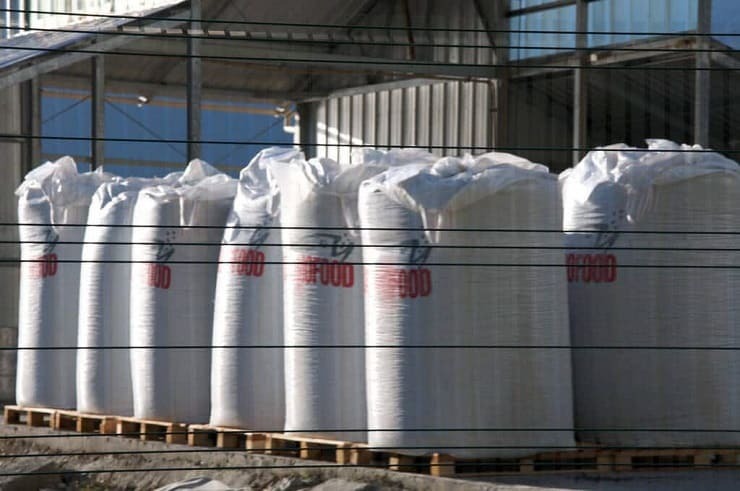 Don’t be fooled by healthy-sounding terms like “organic”, “imported” or “natural” although it sounds good, it usually just means that they are farmed. Even though there aren’t strict guidelines for what constitutes organic farmed fish in the US yet, other countries have begun labelling their farmed fish as organic and it’s still unclear what that means. I imagine that it means the fish were fed organic feed which likely would still contain corn and soy (albeit organic corn and soy…not better for the fish at all). Although it may seem like wild caught salmon can be hard to find, I’ve actually been able to find it in a plethora of places including basic grocery stores! Vital Choice is a great online market that not only provides sustainable wild fish and seafood, but also offers grass-fed beef, organic foods and omega-3 supplements. Click here to check them out. Shipping: Standard shipping varies by order size. Order over $99 ship free. Other Charges: Some premium services cost more. This article was originally posted in December of 2016 but has been republished in October of 2018 to include a new video and updated research. How to Make Almond Flour in 5 Minutes + Video! Farmed salmon vs. wild salmon. Which is healthier? You may be surprised to learn about the dangers of farmed salmon and its toxic contents. I don’t really care for salmon, but these are really important and beneficial facts for anybody who does enjoy it. Knowing what you are eating and how it can affect you is so important. Indeed. I feel very enlightened but also disgusted. I’ve probaly had my fair share of this contaminated salmon becuase of me being careless and naive. I call contaminated salmon instead of farmed to try and not give farming a bad name. this is some great info. I have worked in the fish industry for 12 years and its amazing how uneducated people are about fish. So thanks for the info. Such a very interesting and very informative post that I read today. Thank you for sharing thing information with us in this way you were able to protect us in this matter. Interesting, thank you so much for sharing this! I don’t typically eat fish but this is really good to know! I love Salmon, but I never realized that there was a difference in farm raised and wild salmon. Fish lice?!?! Gross! Thanks for this information! I’ll be more aware of my decisions in the future! Many thanks for this. I do enjoy eating Salmon, but my sister warned about mercury in it, so I just decided to investigate further. The greed of commerciliasation is eating the health benefit out of most foods, and people wanting the benefit now than before. We have chicken and animals with growth hormone, cows injected with sperms via their uterus to produce milk, and vegetables sprayed with all sorts of colouring and coatings. No wonder cancer is a big business for oncologists. There has to be consequences for all these misdeeds, and when it comes, it will not be palatable unfortunately. Wow, I had no idea! That’s really good information. Everyone tells me to try salmon but I actually haven’t had any kind yet because I’m worried that it might be too fishy for me! I’ll make sure it’s not farmed when I do! This is quit the eye opener. I am always amazed what we will accept as consumers just so we will have goods that are aesthetically pleasing. I don’t like salmon a lot, but it’s always good to be informed. I used to think that farmed fishes are better than wild fishes, turns out I was so wrong. Great article! I am HUGE Salmon fan and NEVER eat the farmed stuff. Ughh, yuck! I try my best to avoid farmed stuff, it’s just not worth it. I’d rather spend a bit more for better quality food. This is such an informative post. I really had no knowledge about this industry. This is great advice that more people need to know! Farmed fish are not good for our health or the environment. Wow I honestly had no idea about any of this! Thank you so much for opening my eyes to this! I’m so happy I read this because I eat a lot of fish in my diet. I didn’t realize salmon was also farmed. Now I know what to look for when buying. Thanks for sharing! I couldn’t agree more! Farmed fish of any kind is simply nasty. Thank you for educating others on this topic. This is such an interesting and helpful post indeed. It sound like a smart idea to keep to locally sourced salmon. I had no idea about the danger of farmed salmon. I actually hadn’t paid attention to the difference between farmed and wild salmon. Hubby and I do like salmon, so I will pay more attention next time I shop for it to make sure it’s wild salmon, NOT farmed! Thank you for sharing your article on farmed salmon. You definitely bring up good points however you are speaking to commodity salmon generally, not salmon sustainably certified by the Aquaculture Stewardship Council (ASC). I co-own Wild Fish Direct, a sustainable seafood supplier to healthy fast casual brands nationwide. Our focus is entirely on wild capture species and farms that are at least a Good Alternative on Monterey Bay Seafood Watch or certified by ASC. The cutting edge of aquaculture utilizes recirculating aquaculture systems that are land based and contribute less than 2% waste back to the environment. Many of these systems use their waste to fertilize land farms. Some are powered 100% by wind and solar power. RAS fish are not treated with antibiotics. Please note there are problems with wild capture species as well. The majority of our “wild” salmon are not wild at all. They are bred in hatcheries because the wild populations of salmon cannot sustain the environmental obstacles and fishing pressure without our help. In addition, these fisheries are limited and cannot supply the growing world demand for seafood. We look at sea farms like land farms. Many utilize practices we don’t support so we don’t choose them. Some are built and managed by intelligent, environmentally conscious farmers who have dedicated their lives and resources to helping us eat healthy fish. I work as a sea kayaking instructor in southern Chile – Patagoniaand see a lot of salmon farms on the routes we use. Chances are that a lot of the farmed salmon sold in the US is now produced in Chile where salmon farming has become a huge industry. The growth is partly driven by non Chilean companies from Norway or Canada because in their own countries the environmental restrictions have become very strict. By contrast in Chile the environmental controls are very lax. 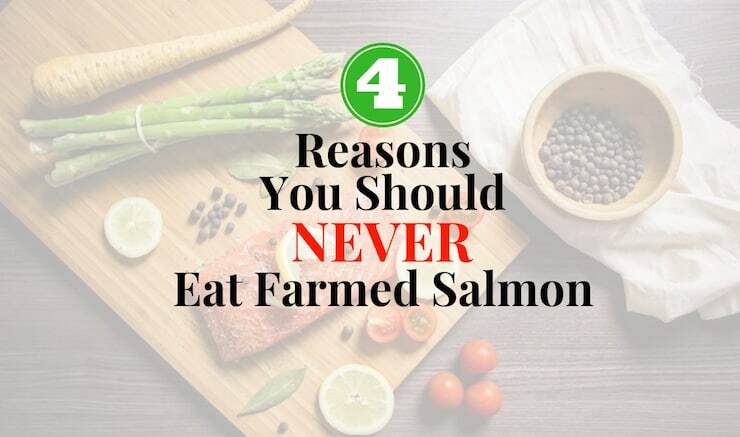 I can add three more reasons not to eat farmed salmon based on my experience there. Firstly is the huge amount of visible plastic waster dumped by the salmon farms – beaches adjacent to the farms are often feet deep in garbage mixed with sand or stones and the the remains of abandoned enclosures are everywhere – plastic piping, net floats etc. Secondly the farms routinely shoot sea lions or sea lions get wounded by barbed wire wrapped round the cages to keep them off. But I think the 3 rd reason is the most important. To produce 1 pound of salmon you need to feed the salmon 4 – 6 pounds of other fish as salmon are carnivores. This fish food is coming from massive trawling operations in the open ocean. Thus the oceans are being depleted of food stocks for other marine creatures. Overall, salmon farming is a filthy business! Wow, even more reasons to avoid it! Very interesting, thanks!